इ.स.२ मार्च १६६० रोजी सिद्दी जोहरने पन्हाळयास वेढा दिला होता यावेळी छत्रपती शिवाजीराजे पन्हाळा किल्ल्यावर अडकून पडले होते.मुसळधार पावसात सुध्दा सिद्दी वेढा सोडावयास तयार नव्हता.या कठीण प्रसंगी महाराजांनी सिध्दीस तहाचा निरोप धाडला त्यामुळे सिध्दी गाफील राहिला.शिवा काशीद नावाच्या मावळ्याने छत्रपतींच्या वेशात सिध्दी जोहर यास तहाची बोलणी करण्यात गुंतवून छत्रपतींना पन्हाळ्याहून निसटण्यास पुरेसा अवधी दिला.शिवा काशीद चे खरे रूप कळल्यावर सिध्दीने त्यांस ठार केले,तोवर छत्रपती विशाळगडाच्या वाटेवर होते. छत्रपती शिवरायांनी पन्हाळ्यावरून,विशाळगडाकडे पलायन केल्याचे समजल्या- नंतर,सिद्दीने,सिद्दी मसूदला छत्रपतींच्या मागावर पाठवले व त्यांचा पाठलाग चालू झाला.मसूदच्या सैन्याने मराठ्यांना घोडखिंडीत गाठले,अशावेळी बाजीप्रभूंनी छत्रपतींना विशाळगडावर पोहोचून तोफानी इशारा करत नाहीत तोवर ही खिंड लढवली जाईल असे सांगितले.घोडखिंडीतील अतिशय चिंचोळ्या वाटेमुळे मराठ्यांनी मसूदच्या सैनिकांची कत्तल आरंभली,शरीराला असंख्य जखमा झाल्या असतानाही बाजीप्रभू,फ़ुलाजी,संभाजी जाधव,बांदल यांनी मोठा पराक्रम गाजविला. महाराज विशाळगडावर पोहोचल्यानंतर तोफांचा गजर झाला.इकडे घोडखिंडीत बाजीप्रभूने तोफांचा आवाज ऎकल्यानंतरच समाधानाने आपला जीव सोडला.या युध्दात मराठ्यांचे जवळपास सर्वच ३०० मावळे कामी आले तर मसूदचे जवळपास ३००० सैनिक मारले गेले.बाजीप्रभू व इतर मावळ्यांच्या पराक्रमाने घोडखिंड पावनखिंड म्हणून इतिहासात अमर झाली. 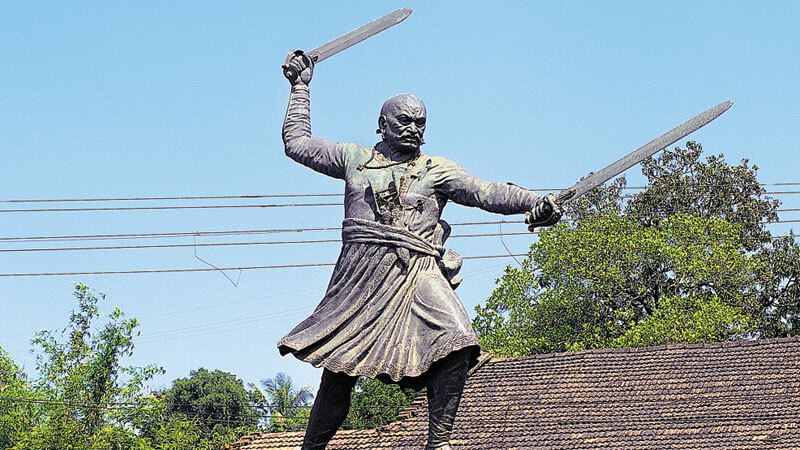 he post-Afzal-Khan slaying, Shivaji and his men created havoc ("NAAK-MEIN-DUM") on Adilshah's powerful forces and harried and tormented them relentlessly with their ferocious guerilla tactics. Unleashing fierce counter-terrorism backed by good intelligence, the Marathas were a succor to all those suffering Hindu innocents on whom Adilshah's jihadi army rained callous terror without respite like a never-ending nightmare. And it was during these days that Shivaji and his men had based themselves at the Panhala fort. The Jehadi army of Adilshah came to know of this and immediately laid siege to the fort under the able command of general Siddi Johar. The siege lasted for many months and Siddi Johar was getting increasingly successful in cutting off vital supplies to the Panhala fort and thereby forcing Shivaji's hand. He had to get out of there and he had to get out soon. All attempts to raise the siege were foiled. Even Shivaji Maharaj's senapati (Commander) Netaji Palkar could not break through the siege from outside. Hence Shivaji decided to give a final battle. But instead of suicidal attack, he followed a different strategy. 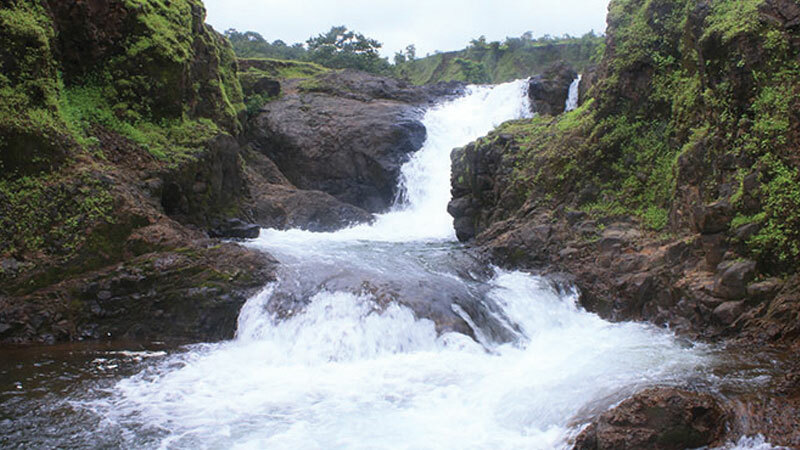 A grand escape was planned to give a battle from the fort Vishalgad. Firstly, Shivaji sent his vakil (lawyer)l to Siddi Jauhar saying that he was ready to sign a treaty with him. Siddi Jauhar and his army thus relaxed a bit, foreseeing that their siege going on for months together was going to end. Still, getting through the siege of about 10000 Adilshahi soldiers seemed impossible. According to the plan on a stormy full moon's night (night of Guru Pournima, Ashadh Vadya Paurnima) a band of 600 select men set out, led by Baji Prabhu and Shivaji. They split up into two groups. One was a decoy that was led by a man called Shiva Navi, who resembled Shivaji very closely and the other led by Shivaji Maharaj and this group also consisted the valiant Baji and other brave Marathas. Shiva Nhavi's group served as the perfect bait as Siddi Johar's alert troops who had gotten wind of the escape plan through their network of informers. The Jehadis captured Shiva Navi to their undiminished glee but were terribly enraged when they discovered the subterfuge that it was fake Shivaji (Nakli-Shivaji). They promptly beheaded Shiva Nhavi (This valiant sacrifice by Shiva Nhavi for his master brought some much needed valuable time for the escaping Maratha warriors) and the Mugals immediately set in hot pursuit of the real shivaji (Asli-Shivaji). class="align-justify"A 4000 plus strong Jihadi Mugal army ignited the chase while Shivaji and his men had already set up an electrifying pace on their horses. The Maratha warriors tore through the rainy night as they burnt up the miles on their horse backs, pushing their steeds to the limit. 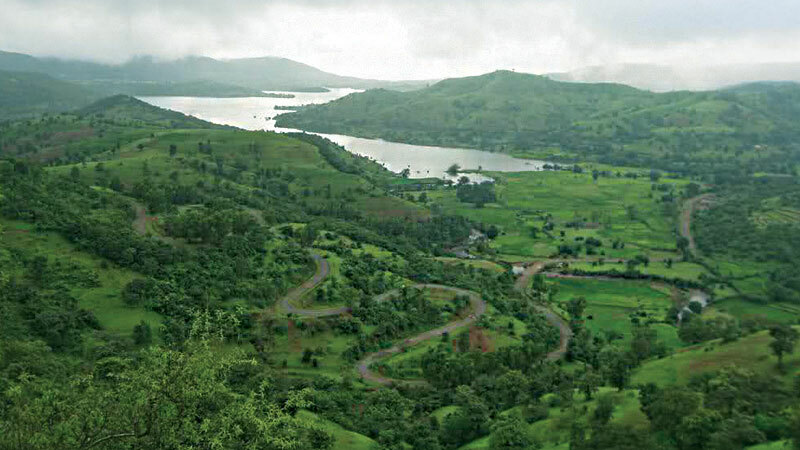 And then the horses had reached exhaustion point, the sweat lathering of their backs as they reached the Ghod Kind pass (to be renamed as Pavan Kind by Shivaji), a narrow opening which could let in only a few men at a time. This is where the legend began and Baji Prabhu volunteered to hold the pursuing Jihadis at the pass with a select band of some 300 Marathas, so that Shivaji could proceed on to the safety of Vishalgad fort. A reluctant Shivaji proceeded with a heavy heart with the rest of the band of 300 Marathas. It was agreed that three cannon shots would be fired as a signal to Baji and his men that Shivaji and his group had reached their destination safe and sound. And here at Ghod Kind the brave Marathas faught like caged tigers to their fabulous war cry: HAR HAR MAHADEV. It was a bloody battle by all accounts. Baji and his men were vastly outnumbered, almost 1:100 ratio by the hysterical Jihadis baying for their blood. The Jihadis, in turn, were relentless as they attacked the narrow pass in wave after frenzied wave. But Baji Prabhu in the vanguard was like a granite boulder. Wielding two huge and very heavy swords, one in each hand, he almost single handily repulsed the waves, using his body as a wall to prevent the Jihadis from getting through. And he paid a heavy price indeed for this and very soon his body was crisscrossed by grave injuries: sword cuts, spear thrusts. At times it seemed that he would buckle in to his injuries and pass out but with iron will summoned from the very depths of his soul, he stood firm and kept on fighting. Baji would not quit till he had heard the cannon shots. When Shivaji Maharaj approached Vishalgad with 300 Maratha soldiers. the fort was already under seige by another Mughal sardar named Surve. Shivaji Maharaj with his 300 men had to defeat Surve to reach the fort. Shivaji Maharaj attacked the base of fort Vishalgad with such vigour that it was broken. After what seemed like an eternity to Baji and his Marathas, the much awaited cannon-shots boomed from the distant Vishalgad. It was almost dawn and Baji was still on his feet but barely and that too in mortal danger because of his wounds. With another cry of HAR HAR MAHADEV, Baji's' men cleared the pass, carrying their wounded leader with them. And then the valiant Baji Prabhu Deshpande passed away with a smile on his face, secure in the knowledge that Shivaji had reached Vishalgad and in the process forever glorifying the annals of Maratha history and Hindu Bharath. There Baji enabled Shivaji Maharaj & the Hindavi Swarajya to survive and prosper against heavy odds. Shivaji Maharaj was with heavy heart when he came to know about the death of Baji, a soul-tugging emotion that he would hold on for the rest of his life. In Baji's honour, he renamed the Ghod-kind pass as Pavan-Kind (Pavan meaning pure, purified by the blood of this great Maratha Hindu martyr.) For the rest of his life, Shivaji would also act as the guardian for Baji's children. 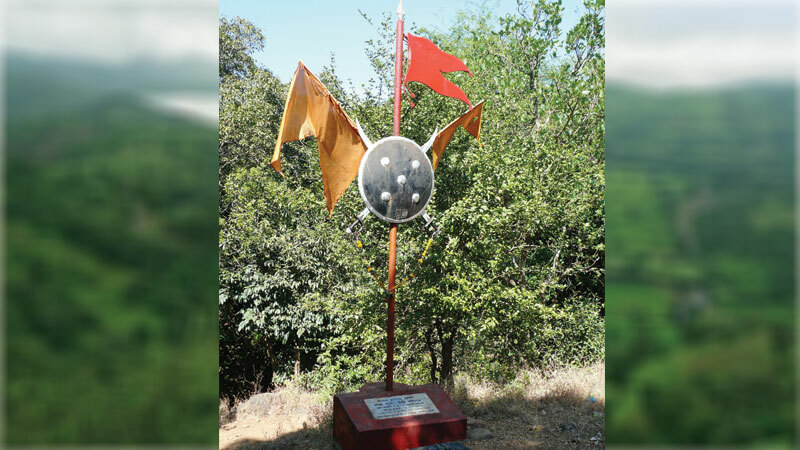 The sword of honour was given to Bandal sena( Maratha Warriors) who fought vigorously with Baji Prabhu Deshpande. Shivaji personally visited the house of slain Baji Prabhu, situated in the village of Kasabe Sindh near Bhor in the Pune district. His elder son was offered job as chief of a section. Other 7 sons were given honour of the Palkhi. Son of Slain Sambhaji Jadhav, Dhanaji Jadhav was inducted in the forces.the maratha. Shivaji Maharaj also gave "manache pahile paan" ("Honor of the Court") to Baji Prabhu's family. The sacrifice of Bajiprabhu Deshpande and Shiva barber is a legend itself. 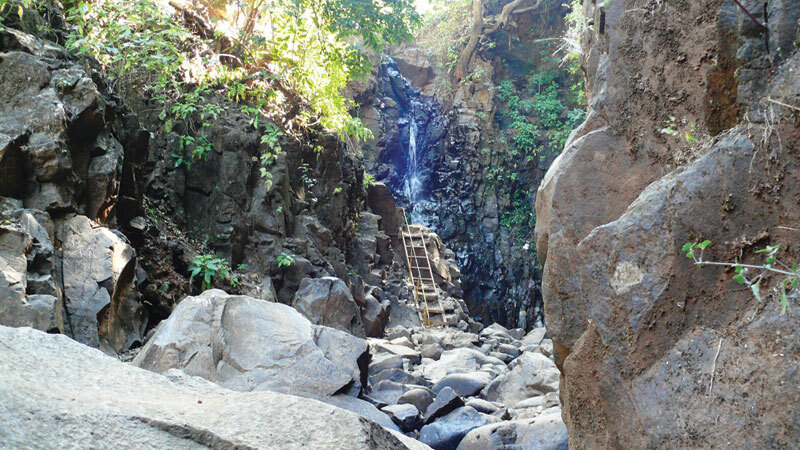 Even today many youths from Maharashtra trek on the route taken by Shivaji between the forts of Panhala and Vishal Gadh. The distance is around 70 km. The battle of Pavan Khind (Panhala) has been recited as folklore in Maharashtra in many awe-inspiring renditions.